(MoneyWatch) We tend to carry our laptops everywhere -- home, the office, coffee shops and on business trips -- but most people fail to take even perfunctory precautions against theft and hackers. That's unfortunate, since laptops end up being directly exposed to risky situations, and it's not that hard to lock them down. I'm not talking about running onerous security software or creating 25-character passwords for every action you take on your PC. As PC World recently illustrated, there are some fairly painless things you can do to dramatically enhance security. Secure it. 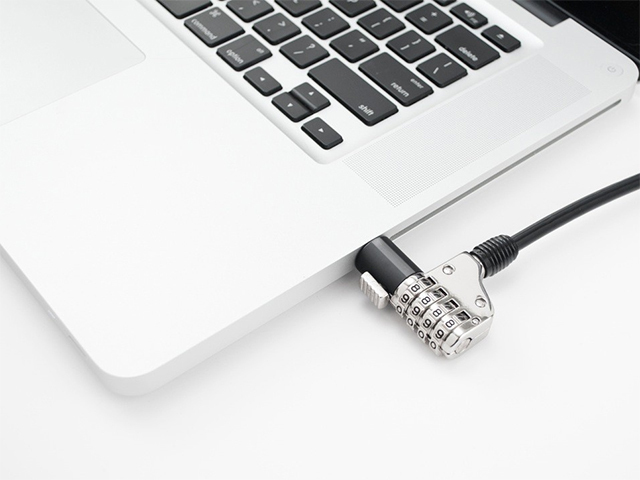 There's no better way to keep your laptop from disappearing than to lock it down using an ordinary Kensington-style lock. They come in both key and combo varieties, and you can use a lock to secure your laptop in the office, in a hotel room or even at the coffee shop. Password-protect Windows. It's like locking your front door -- it's absolutely inexcusable not to add a password to Windows. It won't keep a determined criminal out of your data; worst case, they can just remove the hard drive and read the data in a different computer. But it'll definitely slow down run-of-the-mill thieves. Encrypt your entire hard drive. Windows Professional comes with Bitlocker. Paired with a laptop that has a so-called TPM chip, Windows can encrypt every bit on your hard drive, ensuring that it's impossible to read without the correct password. Bitlocker prevents someone from removing the hard drive from your stolen laptop and just reading the data on a second PC, for example. Don't have access to Bitlocker? Try the free TrueCrypt alternative instead. Use VPN software. Unsecured Wi-Fi networks, like what you'll find at any corner coffee shop, are magnets for hackers who can obtain your passwords and other data right over the air without even stealing your laptop. A Virtual Private Network (VPN) can prevent that, though. Many businesses provide a VPN dial-in for their mobile employees; if you don't have such an option, consider an inexpensive option like LogMeIn Hamachi. Lojack your laptop. If the unthinkable happens and your laptop is stolen, you'd like to have some options beyond just buying a new one and hoping that no valuable data is lifted off the old one, right? Install software designed to protect your laptop. For example, Prey is a free app designed to broadcast your laptop's location if it goes missing and even snap photos using the webcam. A commercial alternative, LoJack for Laptops, boasts a stellar recovery rate for PCs that end up stolen.